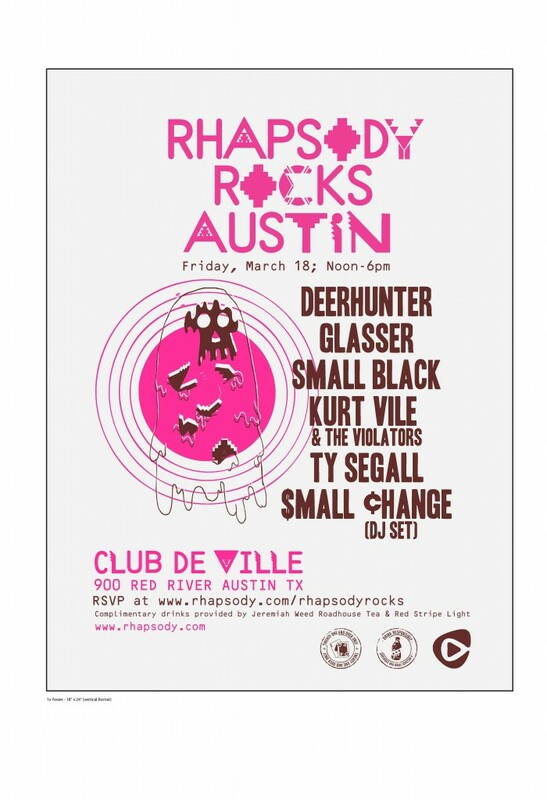 Rhapsody is hosting its SXSW day party March 18 at Club Deville in Austin, TX. The lineup features Deerhunter, Glasser, an awesome DJ set, and more. Check the full lineup and details after the jump. To RSVP for the 21-only event, click here. While RSVP doesn’t guarantee admission, it reserves a spot for you and a guest of your choice until venue capacity is full. The event is from 12-6, so get there early. Throughout the event, complimentary drinks will also be provided.